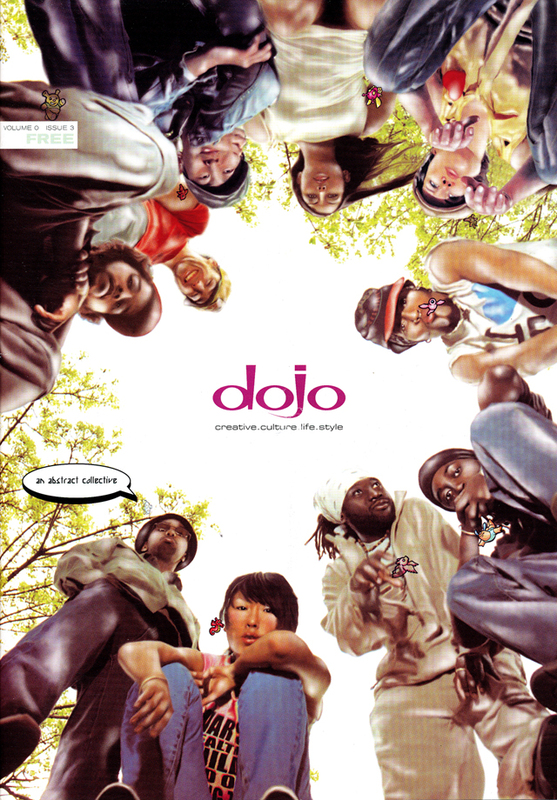 Dojo was a great little magazine run by Denny Lee, Joel Regular and Jason Gouveia. Very creative and very supportive of the diverse art scene in Toronto. This cover features familiar faces Wan (from Main Ingredient) Danilo McDowell-McCallum, Ski and Carlone Capone Mario Mitchell and many other notable artists who have gone on to do amazing things in the city and the world.